Every season, TailGators has many different Pool Leagues to choose from, both Recreational and Competitive. 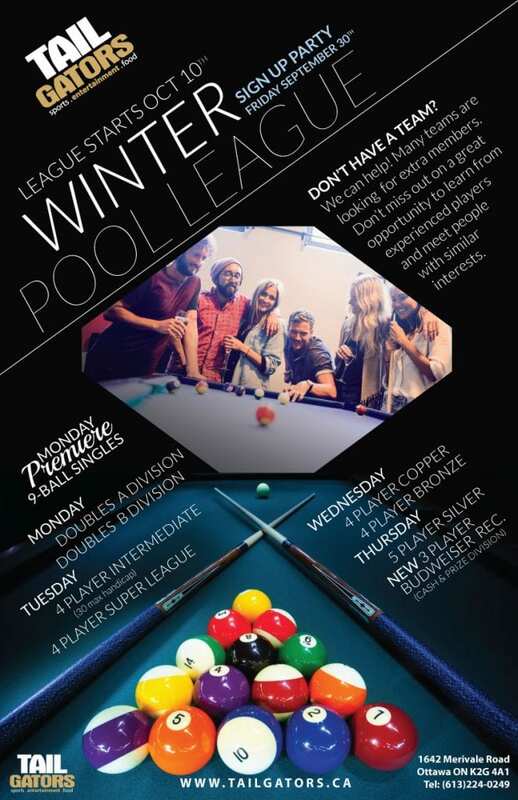 If you're simply into playing a good game of Pool while socializing with old friends and new, then our Recreational Leagues are for you. If you're the type that is ultra competitive, then step on up to our Competitive Leagues and hone your skills against the best that the city has to offer. No matter what your preference is, TailGators has the League for you!